Welcome to Discount Motorcycle Parts! 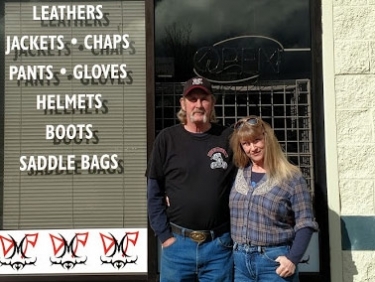 We have a large selection of new, high quality riding apparel and accessories for men and women, as well as riding jackets and chaps for kids. This year we will continue to expand our product line and provide the best customer service possible. Our large selection and excellent customer service ensure you will get the right gear for your type of riding. We feel that motorcycle riders are a special group of people who regard each other as brothers and sisters. The camaraderie between riders and their commitment to generosity is reflected in every charity ride that helps support our community. Over the past 24 years, word of mouth has been our best form of advertising. Each happy customer tells a friend, who in turn tells a friend has helped us gain a large base of satisfied customers that extends from the coast, to Eastern and Southern Oregon, to Canada, and even Hawaii.